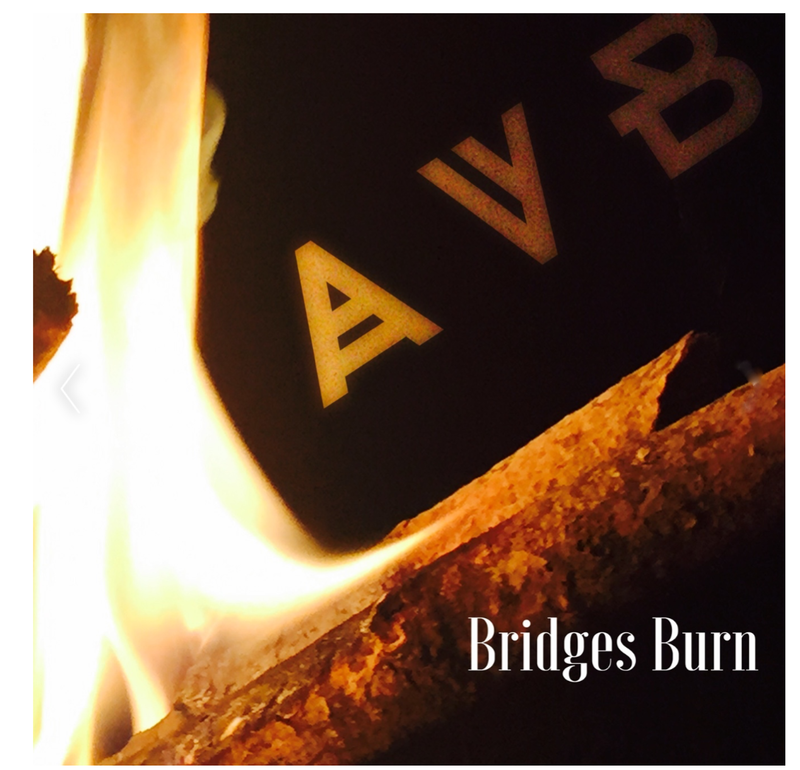 AVB has two other singles on iTunes titled: Brand New, and You Push and I’ll Pull. New music, new apps, and the iPhone. Today’s post topics are the new iPhone 6+, some cool new music apps, and info on new music I’ve recently created. After about 2 and 1/2 months of waiting, my iPhone (6+) finally arrived. It’s a beauty too, and yes it is very big for a phone. But I like it, a lot! It’s my first iPhone and it is everything I’d hoped for. With the ‘droid phone out of the way, now I have one calendar, one set of shared notes, and well heck, the sharing of whatever data I need between all of my mobile devices. The current line-up for my mobile music making is: iPad4 (A5 Chip, 64GB), iPad mini-Retina (A7 Chip, 32 GB) and the iPhone 6+ (A8 Chip, 64GB). And that represents a progression in CPU speed and power. In real world usage the difference can be rather apparent. I have not had a lot of opportunity to use the big, fast, and powerful iPhone for full scale music production but that will come soon, if nothing else I want to test the extremes as much as I can. However, there is one drawback. Not all iOS apps are universal, meaning they don’t all run on all of the devices, like iPod touch and iPhones. Some apps are built for iPad only, some are universal and then there is a third category; those are iPad only apps that also have an iPhone version (sold separately). Some of the major apps that I use which are iPad only are Thor, Cubasis, and Auria. However, I have Garage Band, Music Studio, and Nano Studio, among many other universal apps that work great on the small(er) screen. I do have a serious lack of synths available on the phone, though many have a separate iPhone version (such as Animoog, Sunrizer, Magellan and NLog), for others they just don’t exist (Thor and Nave are my two biggies). 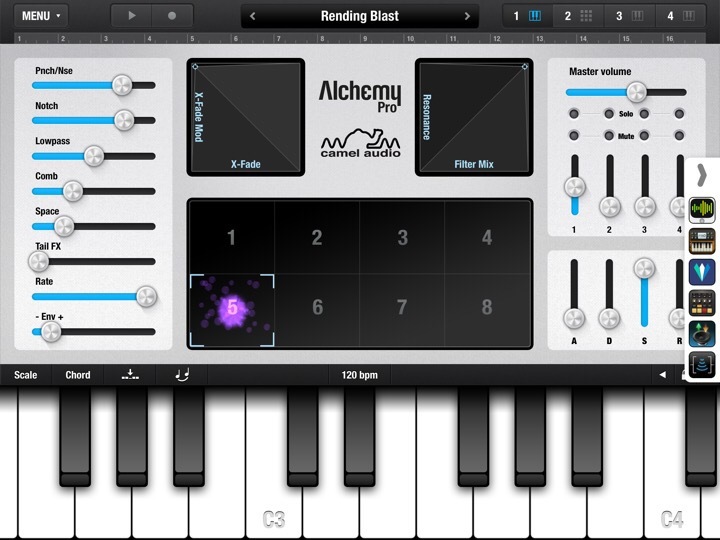 However my all time favorite app, Alchemy Mobile Synth, runs fine and dandy on the phone. Because I have multiple devices the lack of some apps is not troubling, but with the increased processing power of the iPhone 6+, I wish I could do more of the heavy lifting on it. Maybe in the future more apps will become available for the larger phones, I hope so since I have proven to myself, that the iPhone is easy enough to use and is a viable music making machine. Well I knew that already since I started this iOS music making journey on an iPod touch with an old version of NLog Synth and Alchemy. With the seasonal app sales coming along, I’m hoping to find some good deals. I have been looking for new DAW that runs on iPhones; so far, Multirack DAW and N-Track studio are the contenders. 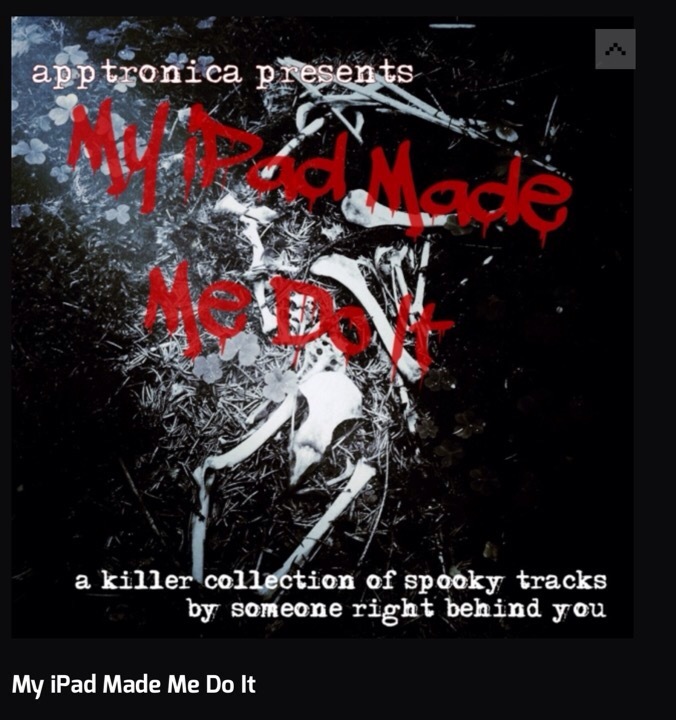 Not made on the new iPhone, but I have new songs made on the iPads from a newer app called Auxy (free on the App Store). This app is another iPad only app and for this, like some other apps, I can see why there is no iPhone version. The sections of the app that need to be manipulated in real time would be too small; certainly a re-design would be required for small screens. 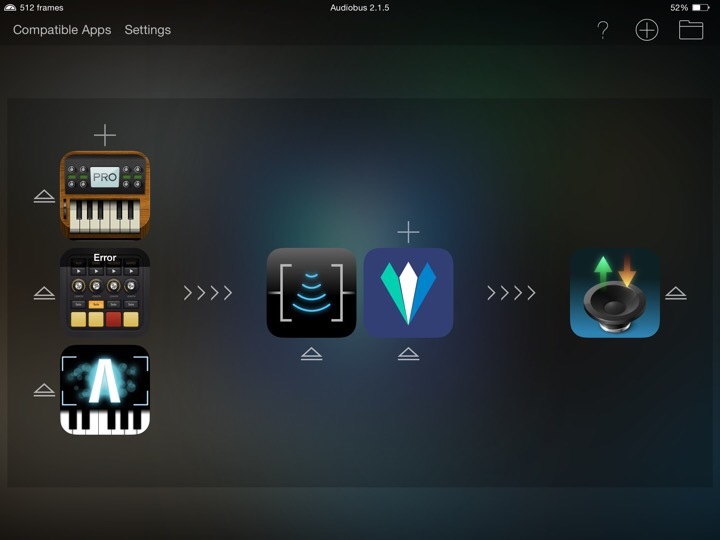 Auxy is a great little app that with the enhancements hinted at by the developer could make this into one of the more powerful music making apps on the App Store. Even though it is limited, it is a lot of fun, and has inspired me to become quite productive recently. The app is a sequencer and the first of such that I have ever used to make music. One doesn’t play a sequencer to get the notes recorded, rather one draws the notes (or percussion hits) on the screen. In PC versions, the mouse would be used for the bulk of the work, while on the iPad the touch screen seems to be the perfect tool for note entry and manipulation. Almost every sequencer I have read about was a MIDI sequencer, however Auxy has no MIDI capability, at least not yet. One recorded performance at a time can be saved and then shared via Audiocopy, otherwise the app simply saves its state. Though supplied with a limited variety, Auxy’s synth sounds are very good and the sampled drums are of high quality. There are three instrument tracks and a drum track available. And for the way the app is played I got to thinking of them as instrument lanes rather than tracks. So for each instrument lane (vertical) there are ten segments available and each segment can be a 1, 2, or 4 bar loop (horizontal). One per lane can be played at any time. In each segment (or loop), each bar has 16 steps (all songs are 4/4 only). So a 4 bar segment contains 64 beats. For the bass and synth parts there are 22 vertical note slots available per beat, and 16 for the drums. A global is used for setting the song key (major and minor only) and to set the BPM (range shows from 64 — 192). There are also some limited controls per voice (volume, filter) that can be manipulated in realtime and are included in a recorded performance. As an introduction to song creation via sequencing, I’ve had an easy and fun time of it. And because it was such fun, I spent a good deal of time using the app, and that allowed me to really got my head wrapped around the whole sequencing concept (Creating an entire song without playing any instruments). Xynthesizr; a funny spelling for a cool synth — and like Auxy it is a sequencer. Unlike Auxy, this sequencer is fully loaded with MIDI out, Audiobus and IAA compatible, many synth controls, and most importantly, a generative music component, which sets this apart. I could have some creations from this app posted on Soundcloud now — however, since Xynthesizr is quite different and fairly deep, I need to spend more time with it. I do like a song that I made recently but it is not something I want to post, at least not yet. Tunes created from this app will be quite different from an Auxy song, of that I am sure. iGuzheng; an app based on the long known Chinese stringed instrument, the Guzheng. 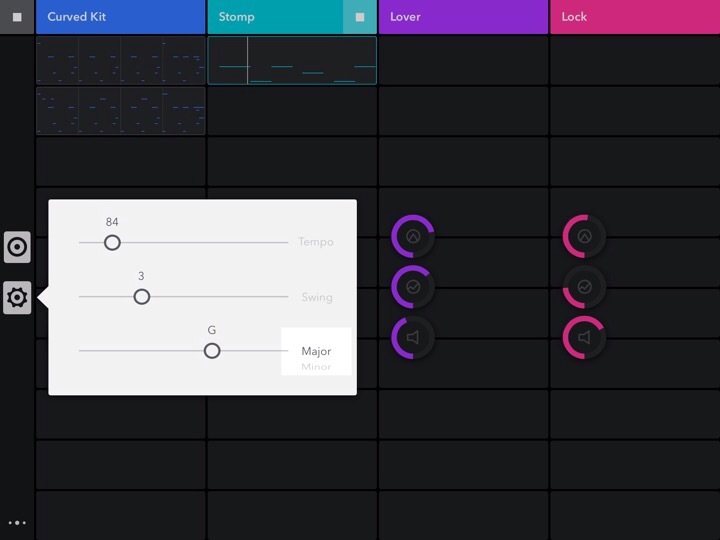 This app sounds good and will be the perfect instrument for a composition I already have in mind (I must learn how to play this thing first). Gestrument; this is a true gem of an iOS app as it showcases a unique touch interface. This app Is a musical creation tool that produces pleasing sounds at the swipe of a finger. This is seemingly simple, yet it’s a very complex app, that even has a companion app: ScaleGen. These apps were acquired on sale, and in my usual method of obtaining music creation apps, I get it cheap and learn it or use it later. 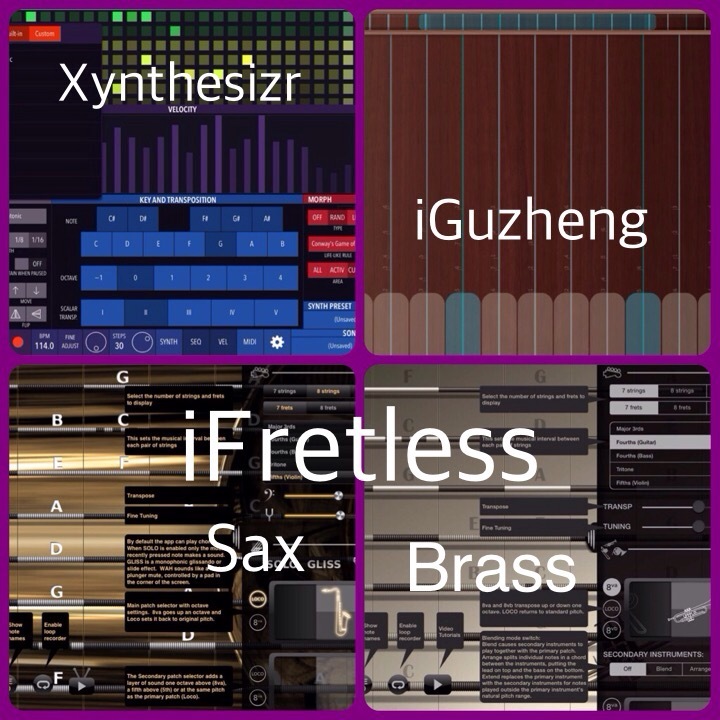 iFretless – Brass, and Sax: These are two of four apps in the iFretless series that share a common interface, that being strings. A bit different for me, indeed. The Brass app is the most recent release, and as a trumpet player, I approve of the sounds! The sax app sounds brilliant as well. I got these apps via a purchase bundle at the App Store, which resulted in a sale price overall. As with the other new apps, I need to spend some time getting to know these. 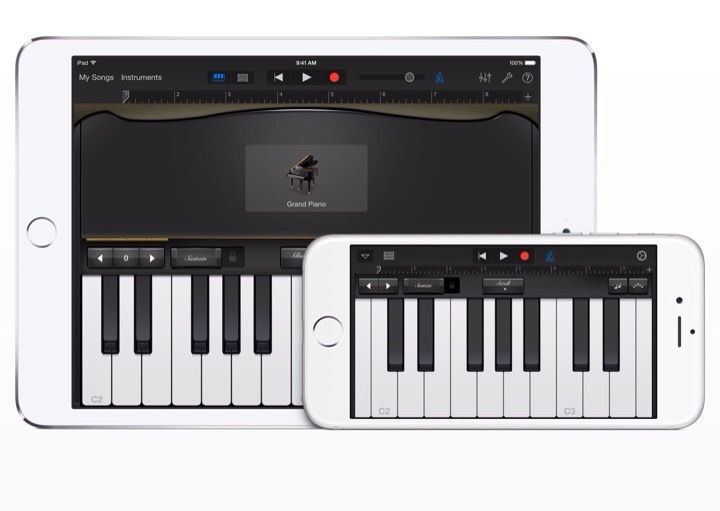 There are so many things to explore in iOS music, and not just on my devices; we have great websites and resources, and a ton of great musicians and producers creating a wide variety of music on iOS devices. There is much music to hear, many videos to watch and podcasts to catch up on…well I’d better get to it. Listen via the link below…and optionally, follow the link there to Bandcamp for a download. And your’s truly, is honored and humbled to have a song included, the finale as it turns out, so all of the way to number 21. There’s a lot of creepy stuff here. My video of the Horrors of Doctor Vibes song can be reached via the Video Link at top.